Layer Styles are a set of commonly used effects that can be applied to a layer without affecting the data of the layer itself. Before Layer Styles were introduced, these effects had to be created manually using numerous layers and adjustments. This often resulted in a mess of layers just to create one simple effect. Now with a few clicks, we can easily create, duplicate, modify and remove styles. Learning when and how to use Layer Styles can greatly increase a designer’s productivity. 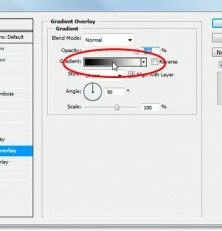 The Layer Styles dialog box is not readily available but can be quickly accessed in a few ways. My personal favorite is by double-clicking on a layer’s thumbnail in the Layers palette — if it’s a shape or type layer, then you’ll need to Option + double-click (Alt + double-click). You can also Control-click (right-click) on a layer and select “Blending Options” or use the “Add a layer style” button at the bottom of the Layers palette to select a particular effect. Along the left side of the dialog box is a menu with a number of effects. Adding an effect can be as simple as clicking one of the check boxes. However, the default is rarely appropriate. To access more options for the effect, you must click on its name. Each effect has a number of settings that can be tweaked: blend mode, color, size, contour, etc. While there is no magic formula for creating a great layer style, there are some techniques you can employ to maximize your effort. Below are some tips to help you get better results from your layer styles. The default blend modes for some of the effects are good enough, but they can often appear dull and unnatural. For example, using Multiply for a black drop shadow against a brightly colored background can result in a shadow that is abnormally gray, breaking the sense of reality. By changing the Blend Mode to Linear Burn and also reducing the opacity, the shadow will adopt more color from the background. The very same technique works well for effects that typically use Screen. Changing it to Linear Dodge will be more intense, but when the opacity is reduced you can achieve a more realistic feel. When possible, keep absolute color values out of your layer styles. Especially with things like buttons, which can be of myriad colors, you may want to try building a layer style with relative effects. For example, if we have two simple buttons, one blue and one red, we could add a Gradient Overlay that gradates from a bright red to a dark red for the first and a bright blue to a dark blue for the second. However, if the layers are already red and blue, then we can simply add a gradient that ramps from black to white and change the blend mode to Linear Burn. We can then reuse one layer style for buttons of any color while maintaining a consistent look. Bevel and Emboss is great in theory but pretty ugly in practice. It is quite possibly the most abused layer style in the arsenal. We’ve all witnessed poor typography made worse with a gaudy Bevel and Emboss. Photoshop’s attempts to simulate light and shadow on a beveled surface are quirky and unrealistic. This is not to say that a beveled look can’t be created using layer styles; there is simply a better method. By using a combination of Inner Shadow and Inner Glow, you can create a crisper and more customizable bevel. Use a black Inner Glow set to Multiply or Linear Burn for a shadow. Then, use a white Inner Shadow set to Linear Dodge for the highlight. This technique gives you far better control of the output and is great for buttons and beveled UI elements. The Inner Shadow and Drop Shadow effects are cast based on the Angle setting. By default, this is set to 120°, which corresponds to our gestalt’s preference for an upper-left light source. This, however, is not always ideal. In fact, because this angle is slightly more upward than leftward, adding a tight drop shadow can look awkward. Changing it to 135° will give you perfectly upper-left angled effects. For example, by changing the angle to 135°, setting the size to 0 and the distance to 1, we add an evenly distributed shadow to the bottom and right of an object.